Elizabeth A. Tresp, JD, LL.M. Elizabeth A. Tresp, Attorney at Law is dedicated to providing personal, individualized legal services to families and businesses throughout Southern California. We have offices in Solana Beach and Pacific Beach. Elizabeth A. Tresp, Attorney at Law, understands first hand the importance of having your family's legal affairs in order, having lost her own father unexpectedly in 2011. As a mother, Elizabeth knows that it is never too early to plan for the future. As she does for her own family, Elizabeth will help you protect your loved ones and create a lasting legacy. Knowing that you have planned for your family's long-term well-being and financial security can assure you that your lifetime of hard work is safe. Elizabeth undergoes a comprehensive analysis of your estate and determines the best means of transferring your assets, minimizing taxes, establishing guardianship for your children, caring for your pets, supporting personal philanthropic causes, and protecting your loved ones. Representing beneficiaries, trustees, charitable organizations, and any parties with interests in decedent’s estates and trust assets, we handle every aspect of estate and trust litigation. We also advise trustees, executors and other fiduciaries on how to discharge their duties in order to minimize personal liability exposure and reduce the potential for conflicts with beneficiaries and other parties. Elizabeth A. Tresp, JD, LL.M. provides trust administration services that include representation of trustees in the administration of revocable trusts after the death of a settlor; representation of trustees in the administration of irrevocable intervivos trusts (trusts created during life); advising both trustees and beneficiaries on their rights and obligations (including in the case of trustees, their fiduciary obligations); and representing trustees and beneficiaries of charitable remainder trusts, charitable lead trusts, irrevocable life insurance trusts, generation-skipping trusts, and educational trusts. Properly administering the Trust, both during the Trustor’s lifetime and after death, is critical to achieve the desires of the Trustor. We work with you to administer the decedent’s estate, identify and distribute assets to the beneficiaries, and provide services for other issues that may require the attention of a probate court, including Lost Wills, Will Contests, Removal of Executors, and a variety of other Probate Litigation matters. Elizabeth A. Tresp, Attorney at Law has extensive experience representing clients in probate cases involving assets in multiple states and international assets, including real estate, stocks, bonds, annuities, and other investment forms. Elizabeth is also an accomplished tax law specialist, with a Master of Laws in Taxation from the University of San Diego. We focus our tax services on complex estate, income, property, corporate, and sales & use taxation issues. With a unique focus on tax planning, our clients are able to avoid tax issues. In addition to her Juris Doctor, Elizabeth A. Tresp earned Master of Laws degree in Tax from the University of San Diego, earning top honors in Criminal Tax Fraud and Taxation of Anti-Money Laundering. Beyond her education, Elizabeth's real-world experience and noteworthy track record of success set her apart. If you are you being pursued by the IRS or California Franchise Tax Board, do not try to go it alone. Elizabeth A. Tresp, JD, LL.M. is a highly skilled negotiator with the experience needed to navigate the treacherous waters of even the most complex tax controversy issues. Leveraging more than 14 years of high-conflict negotiation experience, Elizabeth is able to reach favorable settlements in many matters without going to court. But if litigation is unavoidable, Elizabeth A. Tresp, JD, LL.M. will be your most passionate and aggressive advocate. 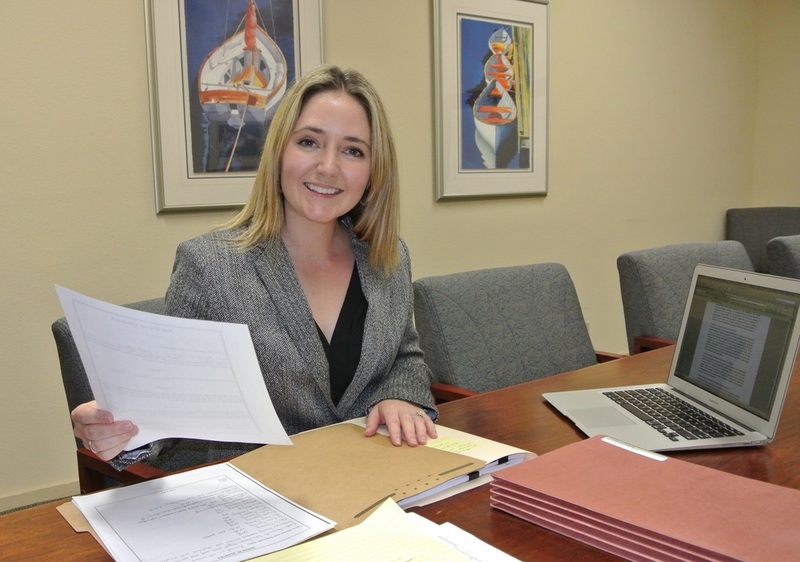 Elizabeth has a stellar track record of success representing clients in a variety of litigation matters. About Elizabeth A. Tresp, JD, LL.M. Elizabeth earned her BA at Middlesex University in London. She completed her Juris Doctor (JD) and Master of Laws (LLM) at the University of San Diego School of Law, earning the highest honors in Criminal Tax Fraud and Taxation of Anti-Money Laundering. Staying involved in her community is important to Elizabeth, which is why you can find her volunteering at her children's schools, devoting her time and expertise to legal clinics, and donating to local charities. Elizabeth appreciates the guidance that her mentors in the legal community provided to her, so she now gives back by mentoring young attorneys in various practice areas, including immigration law, civil litigation, criminal defense, and estate planning. Elizabeth is a member of The State Bar of California (Bar Number 290339), the San Diego County Bar Association, Probate Attorneys of San Diego, and the American Bar Association. In addition to California State Courts, she practices before the United States Tax Court and the United States District Court, Southern District of California. Compassionate and caring, Elizabeth strives to be your attorney for life. Protecting your family and your legacy are her highest priorities. With more than a decade of high-conflict negotiation experience, Elizabeth is prepared to fight for you. Elizabeth is compassionate, efficient, and dedicated to her clients. Contact us for a free consultation today.